The spookiest night of the year is just around the corner and decorations are coming out in full force. 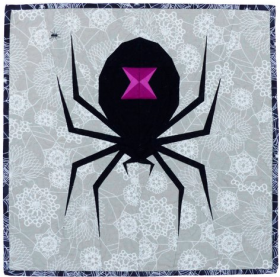 Our Bernina and Brother sewing machines are the perfect tools that can help you get your house Halloween-ready! Nothing says Halloween quite like cobwebs and a spooky spider. Fantastic and fun paper pieced pattern for a block, pillow or mini quilt, with pull-out templates and easy-to-follow instructions. Beware! 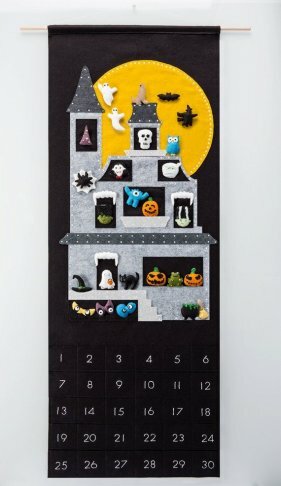 This enchanting Halloween countdown calendar is dangerously addicting to stitch! The pattern features a monstrous line-up of colored, step-by-step photographs and devilishly detailed instructions. This calendar will excite and delight kids of all ages as you create your own moonlit haunted Halloween 'Monster House' to enjoy each October. 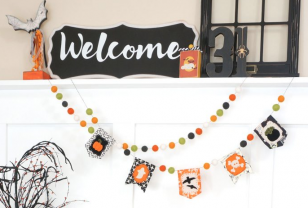 Perfect to string across your mantle, this crafty Halloween banner is playful, colorful and the perfect addition to your DIY decoration collection. Perfect for indoors or out, this banner is a Halloween must-have!